Sofie Dossi is a 14 year-old girl from the Californian city of Cypress in Orange County. She’s much like a lot of other teenage girls, she goes to school, enjoys sports, hanging out with her friends and is constantly glued to her cellphone. But there is one minor difference… She’s an expert balancer and contortionist. 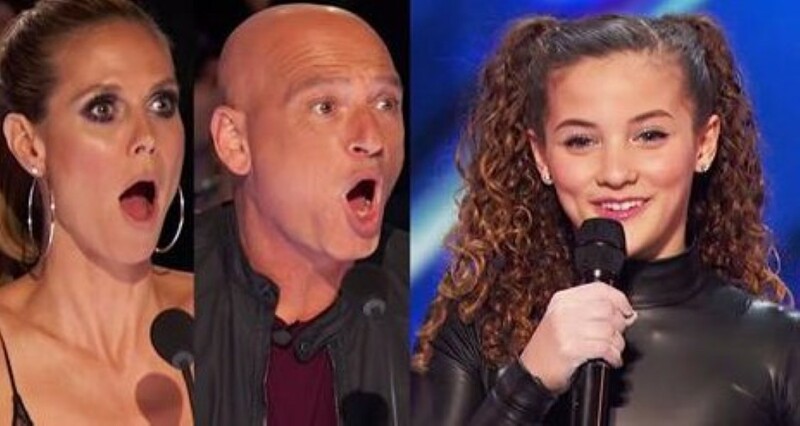 Who’s wowed the judges on America’s Got Talent! And it’s no real surprise she made their jaws drop. Her act is about as fantastic, mesmerizing and incredible as you’re likely to ever see. Capable of gymnastic feats that are almost unimaginable, her short little performance is truly tremendous. Ever seen someone bend in half while balancing on one hand and then eat an apple with their FEET?! Or how about do the same acrobatic insanity, but then fire an arrow from a bow at a target (accurately) just using their feet? Nope, nor had we until we met Sofie! How do you like these apples?! Previous articleSpine-Tingling Melodies And Harmonies Make This Cover Of A Fleetwood Mac Classic Just Divine!